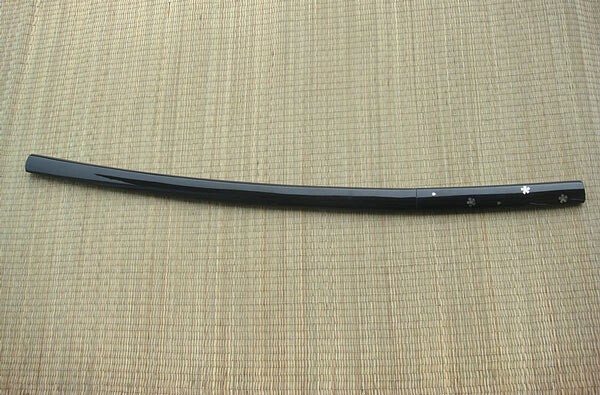 The sword Shirasaya is hand forged with a blade of carbon steel. The saya and the handle are made of black painted wood. The sword is razor-sharp and designed for cutting exercises. If you refer to our information, there you will find definitions of our swords. Delivery includes: Katana, Saya, robust box and a sword stand.